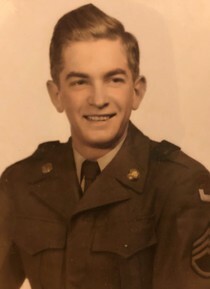 Louis Henry Howard, 89, of Fulton, MD passed away on February 5, 2019. Son of the late Herbert H. and Jennie Love Howard. Survived by his wife, Elizabeth Ann Howard, as well as his three children, Deborah Montgomery of Frederick, MD, Kim Koval (Frank) of Ocean Pines, MD, and Marty Howard (Kerri) of Fulton, MD. Predeceased by his son, Jack Howard. Also survived by six grandchildren, four great-grandchildren, two sisters, Betty Russell of Ohio and Judy Byers of Ohio, and brother, Jack Howard of Ohio. A Memorial Service will be held on Friday, February 8, 2019 at 1pm at Hampshire View Baptist Church, 360 Ednor Rd., Ashton, MD 20861.